A display outside the Baha’i Temple in Ingleside calls for the release of Baha’i leaders imprisoned in Iran. His face turned pale, then red. Then he grabbed a glass of water. At a recent event in Australia where this Iranian official was claiming his country wanted “mutual cooperation” with others, he found himself facing the one question he did not want to answer. The reference was to members of the Baha’i Faith, the biggest non-Muslim religious minority in Iran, a law-abiding community whose members have been the targets of State-backed persecution since the 1979 revolution. I gave my question some context by reminding the official that the president of Iran had promised to improve human rights in his country. I suggested that abiding by that promise would build confidence internationally. After pointing out that seven innocent Baha’i leaders were in jail after internationally condemned “show trials”, I moved on to say that Baha’i youth in Iran were banned from university but when they sought alternative classes their teachers were jailed. And that was just part of a much wider systematic persecution of the Baha’is. I did not expect from the official the physical response, the signs of extreme agitation. But I did expect his answer. 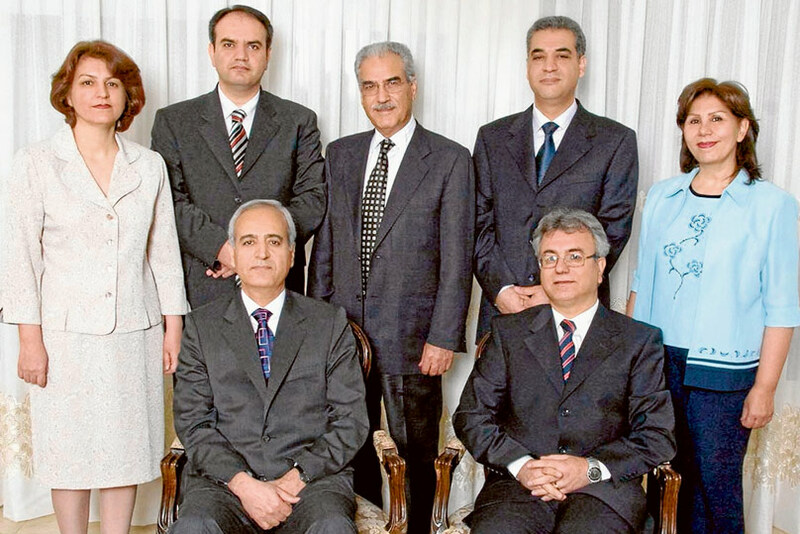 Seven Baha’i leaders who have been imprisoned in Iran for the past nine years. It was the same one delivered by those who had attacked, tortured and dispossessed members of the Baha’i Faith at the time of its birth in the mid-19th century and at regular intervals in the many decades since. The diplomat said the religion I have followed for over 35 years was a political movement started by the British and Russians. This is a bizarre conspiracy theory, contrary to all historical evidence. Then he stated the real objection: that there could be no new religion after Islam. There was no need for me to make any further comment. Those in the room who knew about the Baha’i Faith were well aware of its status as an independent world religion, with its own founder (Baha’u’llah, 1817-92), sacred scriptures, and holy places. They also knew its members were required by their religious beliefs to be law-abiding, to work for the good of their country, and to abstain from partisan politics. Iran has been on the defensive ever since the publication of confidential official government documents in the 1990s that proved in writing what every observer knew in practice. Since the revolution in 1979 there has been a widespread, systematic movement by the authorities to “block”—read “crush”—the life of this religious community. My own experience had long ago given me clear evidence of the heinous persecution of those of a minority faith. My wife and I had a good Baha’i friend from Iran who had accompanied her husband while he studied overseas. She spoke lovingly of her parents back home. Then one day, some awful news arrived. The authorities had hanged her father for being a member of the Baha’i Faith. Then they executed Baha’i girls and women for teaching the equivalent of Sunday school. Speakers at a recent event at Notre Dame Law School, below, mark the ninth anniversary of the imprisonment of the Baha’i seven. It was hard to take in. Our experience as Baha’is had been of a loving community, who recognised there is one God, the same creator known by different names in other faiths, who believed that the underlying spiritual truths of the great world religions were one and the same, and who were of the firm conviction that humanity was one family destined to live in a global community of peace and justice. The fact that a government thought it fit to execute people for these beliefs was incomprehensible. Later I was to meet others whose parents had been executed for the same religious reason. The number killed now exceeds 200. Often those targeted were accomplished professionals or owned businesses. The Baha’i emphasis on the equality of women and men had produced educated mothers, who in turn educated all their children—soon a talented community was providing Iranian society with some of its best doctors, engineers, scientists and business people. In addition to being accused of heresy, they provided convenient scapegoats. In the 1980s, many Baha’is had to flee for their lives. Australia was among the countries that generously opened their doors. Condemnation of the persecutions came from the United Nations special rapporteurs and the General Assembly itself. Australia, where the Baha’i Faith has been present since 1920, was one of many governments who spoke up and called for an end to the attacks on a defenceless religious minority. But instead of stopping the persecution, the regime changed its tactics. They adopted more comprehensive measures, which continue to this day, and are now accelerating. Attacks come from all quarters. Baha’is are banned from working in any government department. Under governmental pressure, private corporations refrain from hiring Baha’is, despite their talent. That means operating a small business is one of the only ways to survive economically. Now the central authorities require local government to close Baha’i-owned businesses on various pretexts, and to seize their goods. The universities, instructed by the government, ban Baha’is from enrolling, and any Baha’i who has somehow been admitted, even those about to graduate, are expelled immediately upon identification. Incendiary programs on television, radio and the newspapers spew out defamatory, hurtful and false allegations against Baha’is. Random murders take place, suspicious deaths and assaults occur, farms are seized, and there are arson attacks on homes and businesses, Death threats are made by telephone. A round robin of arrests of Baha’is keeps community members aware that any one of them could be next. Unsuccessful attempts are made to get Baha’is to recant their faith. It is made clear that harassment will stop if beliefs are abandoned – the definition of religious persecution. Fortunately, many in the general population are not as gullible as they once were. Some brave Muslim lawyers, clerics and university administrators have stood up and bravely criticised the persecution of a religious community they know to be of great integrity and honesty, one never involved in politics, let alone any anti-social or violent activity. One publicly apologised to a four-year-old Bahá’í boy whose parents were imprisoned, kissing his feet in emulation of Pope Francis after he washed and kissed the feet of a young female Muslim prisoner. As followers of other religions know, persecution can be the fertiliser that encourages belief to grow and be confirmed. The Baha’is of Iran have responded with great resilience, and instead of huddling in fear have reached out to serve their communities. 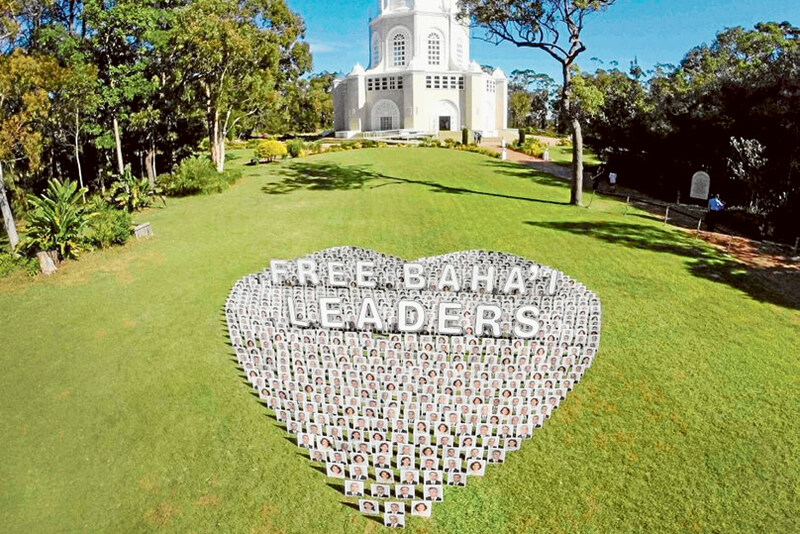 To protect the Baha’is of Iran, members of the Faith throughout the world have made efforts to bring to the attention of the world community this gross abuse of human rights, this assault on the norms of the international community, this violation of common decency, of true religious sentiment. Australians may take pride in the fact that successive foreign ministers, the most recent being Senator Bob Carr and the Hon. Julie Bishop, have repeatedly called for a halt to the persecutions, as has the Federal Parliament itself. Australia has also been a co-sponsor of repeated annual resolutions of the UN General Assembly demanding a stop to human rights abuse in Iran, specifically including Baha’is. Support for Baha’is and calls for the end of the persecution have come from faith leaders and organisations. 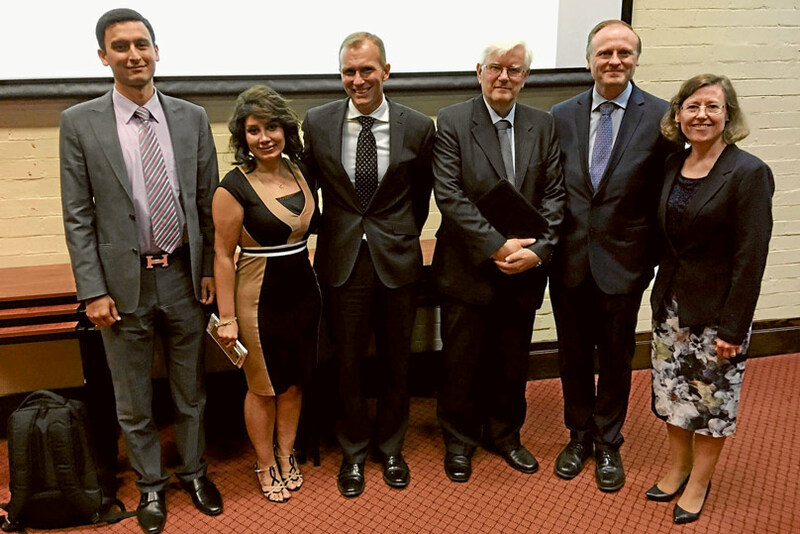 The Law School of the University of Notre Dame in Sydney recently hosted an event marking the passage of the ninth year of imprisonment of seven Baha’i leaders. A group of prominent Australian lawyers has called for their release. A new generation of Iranians has arisen, who want their country to enjoy the fruits of modernity, who want to see women take their place alongside men, who want the human rights of all to be respected. Will they get their wish? The situation of the Baha’i community is a litmus test for the observance of human rights in Iran, and the litmus is now definitely an acidic red. Michael Day is a journalist formerly with The West Australian newspaper, and is now national media officer with the Australian Baha’i Community.